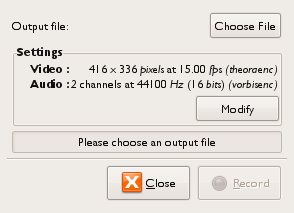 PiTiVi is a video editor for GNU/Linux that supports importing and exporting Ogg Theora videos. 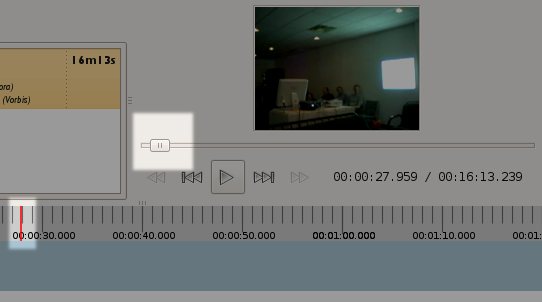 Right now it supports basic editing, cropping clips, arranging on a timeline and adjusting of audio levels. You will be asked for your password, when you enter it the installation will proceed automatically. When the installation is complete you can open PiTiVi from the Applications menu (listed under Sound & Video). You can also check http://pitivi.org/wiki/Downloads for instructions to install newer versions. PiTiVi is actively developed right now and there are new releases coming out regularly. Once you opened PiTiVi you can press the plus (+) button in the interface to Import clips. Imported clips are added to your Clip Library. You can use all formats that GStreamer accepts. 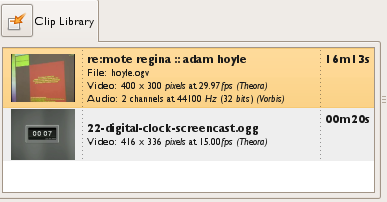 If you don't know what this means then the easiest way to know what files work with PiTiVi is to play them in Totem (found in the Sound and Video Applications menu and titled 'Movie Player'). If a file can play in Movie Player then it can also be used as a clip in PiTiVi. You can continue adding as many clips as you like to the Clip Library (the video of the Digital Clock is created by Riccardo Iaconelli). Once you imported the clips you want to use, you can drag them from the Clip Library on the timeline below. 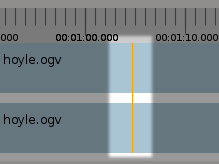 When the clip is on the timeline you do not see the individual frames, but you can drag the slider backwards and forwards in the player area to see the video. You can move the clips around by dragging them around the time line. When you have the orange line at the right place click on the timeline and the selected video file will be cut in two at that point. Click Choose File to and choose where to save the exported file to. You could also adjust the encoding settings pressing Modify, once the settings fit your needs, press Render and get a coffee.